Five years ago, Search Engine Optimization (SEO) was completely different. Webmasters added meta tags to the website to give Google and other search engines clues to what the website was about. In addition, it was not uncommon to throw in a laundry list of keywords that may or may not have anything to do with your website. That often included the name of your competitors as a way to try to get their search results sent your way. But today, SEO is another story. Search engines have changed and are more focused on delivering better results to searchers based on what is actually on a website and not a list of words stuck in a meta tag. That isn’t to say there aren’t a few tricks you can use to enhance your SEO efforts, though. But the real bottom line is that great content is key to getting good search engine results. Without that as your starting point, all the rest of these tips will be useless. So, with that in mind, here are 10 things you should include in your SEO efforts. This is a short paragraph that summarizes the content of the page. It somewhat replaces the meta tag, but should be specific to that particular page. Page descriptions are very important in helping search engines figure out what your website is about. Do not use the same description on every page. You will have to go to the Admin section of your website to add these in. Each page should have its own unique URL that is related to the content on that specific page. This is what will show up in the address bar when someone clicks on the page. An example is www.mywebsite.com/SEO-basics. You can see that the page URL immediately describes to users what they will find on the page. Again, do not use the same one over and over. You can include the name of your company in the page title. These also appear in the Admin section and is a brief few words that describe what is on the page. Each page should have a different title. If you do not have an XML Sitemap on your page, go to the Google Webmaster Tools and create one. 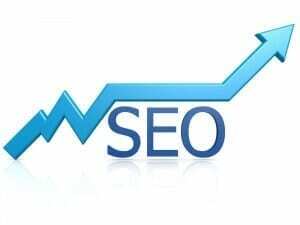 This makes it easier for search engines to crawl your site. Use alt tags for every photograph on your website. Since search engines cannot “see” photos, they rely on alt tags to tell them what is in the photograph. Also, alt tags are used by disabled individuals who cannot see the screen. Keep the tag brief, but descriptive of what is in the photo. H1, H2, H3, etc. are all heading tags. Typically the H1 tag is used for the headline at the top of the page. It should be a brief summary of what is on the page. Subheads or section heads can be smaller – H2 is smaller than H1, H3 is smaller than H2, etc. These tags are picked up by search engine crawlers and provide more clues about the content of the site. Try to keep your menu as simple as possible and make sure that it does not include industry jargon in the navigation. There is a reason that most websites use “About Us” and “Contact Us” – users know what those mean and what to expect when they click on them. Getting too fancy or clever with navigation menus can actually confuse users, so use the KISS (Keep It Simple Sunshine) principle. The content on one page of your site is most likely connected to other pages. Help your readers by adding text links to let them jump to that content quickly. If you are writing about SEO and you have a whole article on “SEO definitions” on another page, then create a link that will take the user to the article. 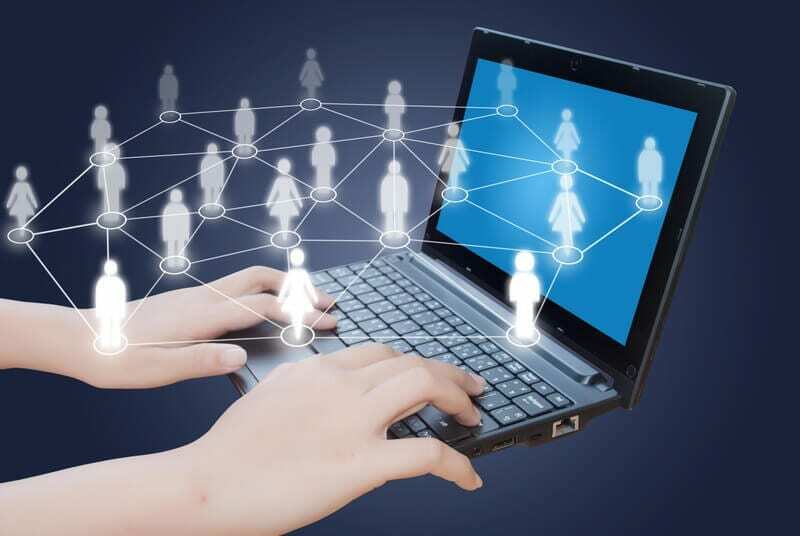 These connections are crawled by the search engines and will improve your SEO results. This is related to text links. The anchor is the word used to create the link – in the above example, it would be “SEO.” Use these more descriptive keywords instead of things like “click here” or “learn more.” A short keyword gives the search engine a better clue. While this is listed last, it may be the most important of these 10 tips. Having the right keywords identified before you start writing for your website is very important. There are many keyword tools, including Google’s, to get help with building a list of appropriate keywords. Keywords and phrases should represent the things that your users/customers are most likely to type into a search engine to find you. Do you sell carpet? Then “carpet” and “flooring” are obvious keywords. “Floor coverings” and “shag carpet” and “rugs” should also be on your list. Once you have a list, use your keyword planning tool to learn which of these words are searched for the most. Look for niche phrases that might not have a lot of traffic, but represent an opportunity to garner visits. For example, “pine wood flooring” might not have a lot of searches but if you carry a lot of it, you might want to choose that keyword anyway. Try to narrow down your keyword list to a dozen or so really important ones, then focus on one or two of them on each page of your website. If you have a page but no matching keywords for it, then consider whether you should revise either the keywords or eliminate the page. Do NOT throw keywords into your content willy-nilly. First, it makes your content sound like gibberish to the reader. More importantly, keyword stuffing will get you penalized by Google and they might just remove you completely from their search engine. Your content should read naturally and keywords should be incorporated where they make sense. That’s why you should select the keywords before you write your content. Trying to add them in later could make your copy sound unnatural. Understanding SEO and using it properly can help your website show up better in search engine results. Make sure you are showing up for the right results, though, and are focusing on things that will drive business not just traffic. As always, set up a tracking mechanism for leads that are generated by your search results, such as a contact form. Be sure to check your Google Analytics regularly to understand which keywords are working for you, and which you should think about changing. There are other things, of course, that you can do to improve your SEO…great content, link building, website design, etc. 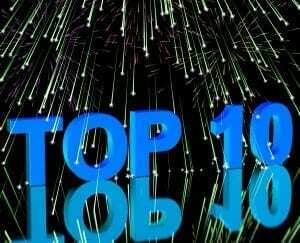 But these 10 things will definitely get you on the right path. If you need help with SEO for your company website, call Deppe Communications at 904.524.0170 or E-mail Kim@DeppeCommunications.com. 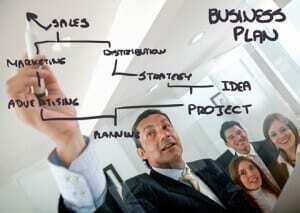 Starting the new year with a new marketing plan for your small business is a great idea. Small business marketing does not have to be expensive, but it should be just as well thought out as if you were marketing a large corporation. 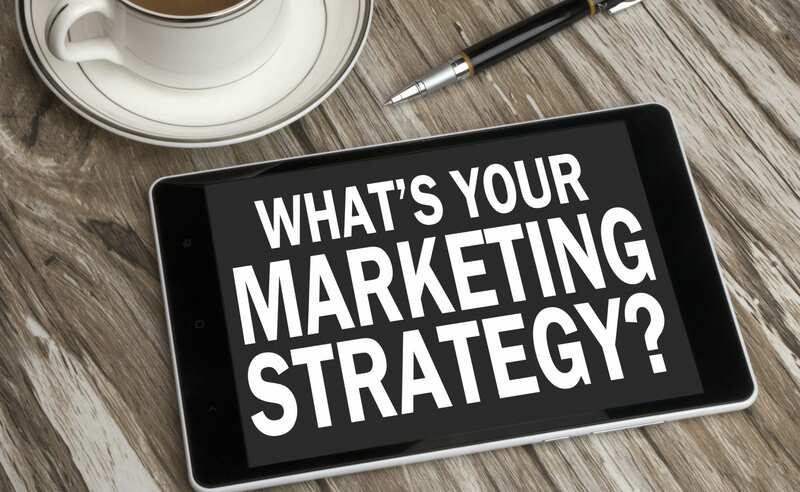 Deppe Communications has helped many local and small businesses create a complete marketing plan to ensure that their marketing dollars are being spent efficiently and effectively. In honor of the start of our new year, here is our “Top 10 List” of resolutions for marketing your small business. Understand what part of your business generates the most profit for your business. And, alternatively, figure out if there are any products/services that are costing you money. You may want to keep that as a “loss leader” if it is something that typically generates future business, but you absolutely should be able to quantify it. Don’t just use your gut, but actually analyze your costs vs. your profits. Sound like finance instead of marketing? Yes, but it usually won’t help you to spend money advertising a losing product or service. That’s a poor marketing investment. Figure out who your customers are today – then go find more like them. This sounds so simple, and it is a basic marketing rule of thumb. But truly knowing your customers requires data and making a concerted effort to learn more about them. Write at least 2 or 3 “SMART” goals for your business in 2015. SMART goals are Specific, Measurable, Achievable, Realistic and Time-bound. An example of a good SMART goal is “Increase sales of 20-foot garden hoses by 25% before September 1, 2015.” Having specific goals should come before you start figuring out how to market or advertise your business. Otherwise, how will you know what to invest your marketing dollars in? Don’t confuse action for strategy. Buying a bunch of ads might get your name out, but it is not a marketing strategy. If your advertising is not targeting the right people, at the right time, with the right message and using the right medium, then you have wasted your investment. If you are not familiar with marketing basics, then DIY (Do-It-Yourself) is not a good idea. No matter if you have a little money to spend or a lot, a good marketing or advertising consultant can make your investment go farther. Stop spending money on advertising randomly. If you are responding to the last sales pitch that walked in your door, you are probably wasting your money. Media sales people are nice people, but they don’t have your best interests at heart – they just want to sell ads. Ask for proof that their product is reaching your target audience. Then figure out how much you are paying for each person reached. Know what your UVP is – Unique Value Proposition. What makes you different from your competitors? Why should customers choose your business over brand X? Consider things like location, service, quality and price. Know your competitors. Today, when your website is often the first contact with a customer, your competitor is not necessarily the company across the street. By going online and doing a search (be sure to sign out of your Google account first to get better results), you will find out which other companies are in your space. Be creative. Come up with new and interesting ways to entice customers to choose you. In this very competitive global marketplace, finding a way to stand out from the crowd is more important than ever. Set aside money in your budget for marketing. Whether it is to send employees to networking events and trade shows, or a full-fledged advertising campaign on TV, radio and billboards, marketing requires an investment. It is typical to budget between 1% and 3% of gross revenues for marketing. Want help creating your new marketing plan? Contact Deppe Communications now. I had a pleasant surprise some time back when I logged onto my computer and headed for my Gmail – a personal birthday greeting from Google. My first thought was “wow, Google knows everything about me!” This was followed quickly by a realization that (a) that’s because I told them all about myself in sundry ways; and (b) that makes my user experience unique to me. Oh, and (c) – they have some very smart marketers over there at Google. Any marketer worth her salt knows that mass marketing is, if not dead, then certainly wobbling around on its last legs. Bringing a custom message to your target audiences is not only a more effective approach, it is more cost efficient, too. This blog, for example, is for those who follow me and are interested in what I have to say about marketing. I don’t publish it as an ad in the newspaper for the whole world to see because, frankly, most folks don’t care about marketing. I would be wasting a ton of money to buy newspaper ads for that purpose. 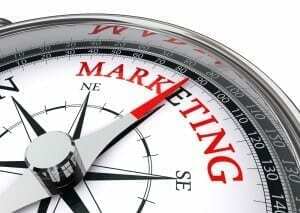 Likewise, your business’ marketing efforts can and should be targeted. That requires some work on the back end – creating segmented marketing lists and custom messages, for example. It can be more time consuming than just developing a TV spot and buying time on the SuperBowl so the whole world can hear what you have to say. But in the end, you will save money and get better results. Segmenting is more than just dividing up your customers by gender or age. It can include geographic locations, product choice, buying history, brand preference or even birthdays. Wouldn’t you rather get an Email telling you when your favorite brand of shoes is on sale than a blast notice that everything in the store is 10% off? How about a notice from the grocery store telling you that your usual brand of laundry soap is on special this week – would that be worth something to you as a customer? You can take those same ideas and use them in your own business, no matter what kind of business you have. It takes effort to understand your customers first, though, and know a little bit about them and their preferences and buying history. You might have to do a little more record-keeping, but in the end you will be establishing a closer, more personal relationship with your customer. Interested in knowing more about small business marketing? Call me to discuss your needs at 904.524-0170 or fill out the form below. It was either Panda 4.1 or Pigeon, depending upon which name you like better, but in late October Google updated its search algorithms again. Some larger brands experienced a drop in traffic, but most smaller businesses were not affected. Here’s a peek at what has happened recently in the constantly-changing search engine world. The rise of mobile is affecting how people conduct online searches, and it means that search engines are adapting. From more people talking to their phones to the addition of phone numbers in search engine advertising, mobile is changing search. Today, more people conduct searches on phones and tablets than on desktops. You will be seeing more advertising at the top of your Google results pages, too. And it will be more difficult to tell which are the ads and which are the organic (or unpaid) results. Google’s Knowledge Graph will continue to be more prominent on search pages and this will also push organic results lower. The Knowledge Graph is useful for searchers because it delivers answers right up front, so the user doesn’t even have to click to the website for an answer. Great for users, but not so great for businesses who want to drive more visits to their websites. Google will continue to use your past search history and your social media activity, as well as your geographic location, to fine tune the results it gives you. This has especially been beneficial on mobile, as more local results are now showing up in mobile searches. The Pigeon update is also increasing the number of “ranking signals” it uses, so directories of websites (Yellow Pages, White Pages, Yelp, etc.) are going to show up more prominently in search results. Again, this will tend to push down local websites even further in the results. What does this mean for you? It is important to regularly check your website to make sure you are using the best keywords and phrases for your business. Understanding where you rank, especially compared to your competitors, is also critical. Deppe Communications can analyze your website and provide you with a report that includes recommendations for improving your search engine optimization. Call us at 904.524.0170 or Email Kim@DeppeCommunications. Blogs and micro-blogs (Twitter, Facebook, Tumblr, Pinterest etc.) are growing in popularity among business owners as a way to communicate with their customers, or to win new ones. More than 60% of all businesses now have a blog, and while most of them are between the ages of 25 and 44, one-third are over the age of 45. Blogging is easy to do with services such as Blogger and WordPress, and is typically free. You can include photos and videos in your blog for added impact. But, in case you need more convincing, here are five more reasons your business should be blogging. 1. Because Google said so. Well, sort of. Google values websites that have fresh content and there is no easier way to accomplish that than through blogging. If Google sees that your website is full of interesting, new and relevant content, then you will be rewarded in the search engine results lottery. If your website is static – if you never or rarely update the information – then you will likely see your search results position slide away. 2. Your customers are hungry for information about your product or service. Notice I did not say that they want to know about your company – they probably don’t. But they do want to know more about that new model of widget you are offering and how it compares with earlier versions. Or, perhaps your restaurant is offering a new special this month and several customers have asked for the recipe. Blogging is a quick and easy way to share information that your customers will value. 3. You can attract new customers. By publishing a blog, or a micro blog, you increase the chances that potential clients will find you when they are searching the internet. Having a nice catalog of articles that you have written about your industry means there are more chances for them to find you. 4. You can position yourself as an authority in your field. You are very well versed in your own business, but your customers probably are not. They will be looking for information from a trusted and reliable source – you. By writing interesting and fact-filled content on your blog you can establish yourself as the “go-to” resource for information about your industry. 5. It’s an easy way to build relationships. Micro-blogging in particular is a great way to nurture your relationship with your customers. Whether it is sharing photos of great ideas on Pinterest or tweeting the latest news in your industry, these services provide you with the opportunity to create and sustain conversations. Kim Deppe is President of Deppe Communications, an outsource marketing firm located in the Jacksonville, FL area. Deppe Communications provides marketing consulting, search engine optimization, search engine marketing, public relations and advertising services to small and medium size businesses across the U.S. With over 25 years corporate executive marketing experience, Kim Deppe brings a unique combination of strategic marketing experience and online marketing know-how to her clients. For more information, visit www.DeppeCommunications.com, call 904.524.0170 or E-mail Kim@DeppeCommunications.com. Most of my clients do not have a Marketing Department, but a few have someone either in a marketing role or who has been assigned to those duties. Often, that individual is juggling other responsibilities and may not even have any marketing background or experience. This is where I can really help an organization. I spent 25-plus years in the corporate marketing world as an executive, managing all aspects of advertising, public relations, and online marketing. I bring all of that with me when I work with a smaller business, along with a team of people who are experts in website design, graphic design, etc. Trying to DIY – do it yourself – may help your company avoid paying an outside firm, but it may not actually be saving you money. Knowing where to use your limited marketing resources to drive the most business is important. Deppe Communications can help you look at your marketing activities, create a plan for going forward, and deliver the materials and support you need to grow your business. That’s why a marketing plan is so important. 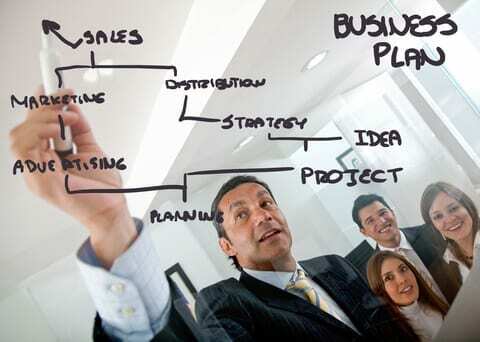 By building a plan that starts with your business goals, you can create a map that will help you reach those goals. You will probably save money, too, because you won’t be reacting to every “marketing opportunity” that comes along. You will have created a yardstick with which to measure each opportunity and make sure it will get you closer to your goal. If you don’t have a marketing plan, I would be happy to help you create one. Just Email me or call me at 904.524.0170 and we’ll get started. I recently decided to update my website and that required me to move some things around. And, just to prove Murphy right, during that move I managed to lose all the former content on my website. Now, some of it I can recover, but if you are reading this then you might be seeing a pretty skinny website. It will take a few days to get it back where it belongs so please be patient. Meantime, if there’s anything you would like me to add to the site that would be helpful for your small business, please send me an Email at Kim@DeppeCommunications.com. Call 904.524.0170 or Email Info@DeppeCommunications.com for a free consultation.